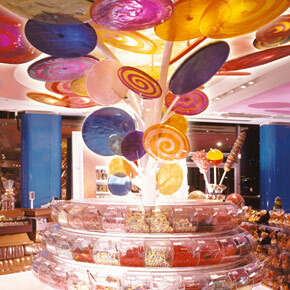 It was a Tuesday night and I’d previously called to make a reservation but was told we can only walk in, we got there at around 7pm and was told there was a 45 minute wait 😦 We really wanted to try the desserts, so we walked around the block and spent some time at the Dylan’s Candy Bar around the corner 🙂 For those who don’t know Dylan’s Candy Bar is a chain of candy store based in New York. 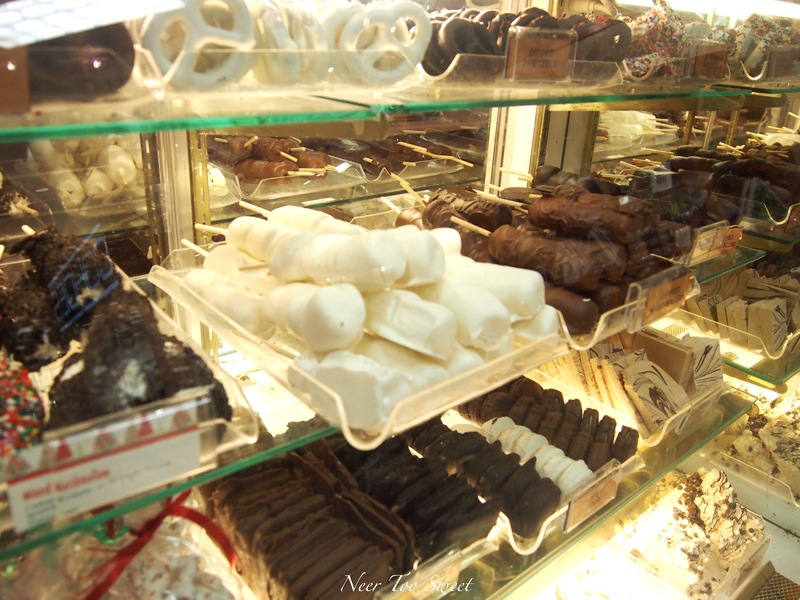 For someone like me, it was basically HEAVEN! Now to the savoury food, after studying the menu, Mr Bao, Mary, Kevin and I all agreed that the food offered were very typical all American diner type food. We started off with a salad, I’m sorry but I’m not sure if this was called Serendipitous Chef’s Salad or Chicken Julia salad ($16USD), but it was basically a bed of greens, tomatoes, avocados and cucumbers topped with boiled chicken pieces and crushed almonds. It didn’t have much of a dressing so it was a little dry and the chicken was a little overcooked and kind of tasteless. 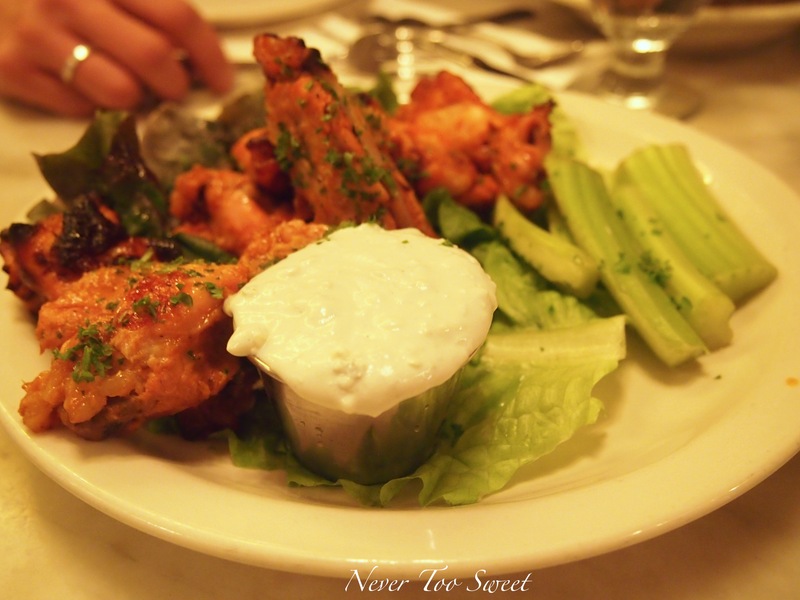 These hot spring wings AKA buffalo wings were nicely marinated with a good sauce, but unfortunately it was a little cold when it got to our table and the celery sticks had started to turn a brownish colour, suggesting that it has been left out for a long time. 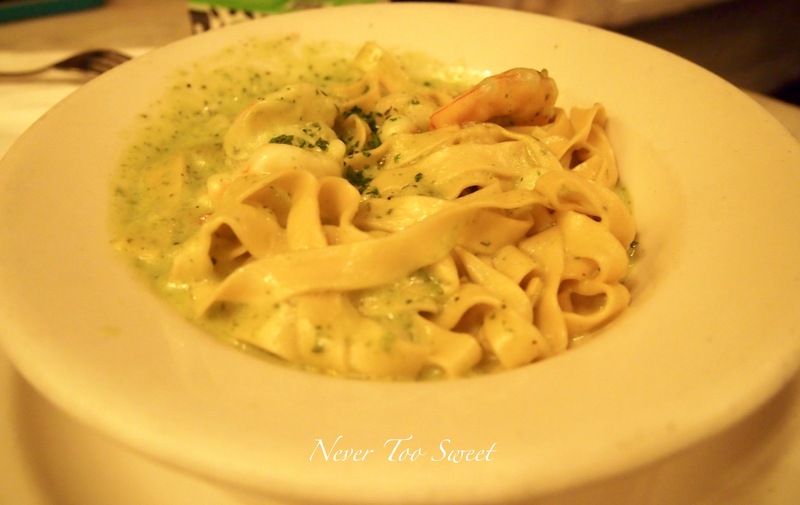 Mary’s seafood fettucine was probably the best with the basil cream sauce and a few pieces of seafood such as prawns and mussels tossed through the pasta. We all liked this dish 🙂 Good choice Mary! 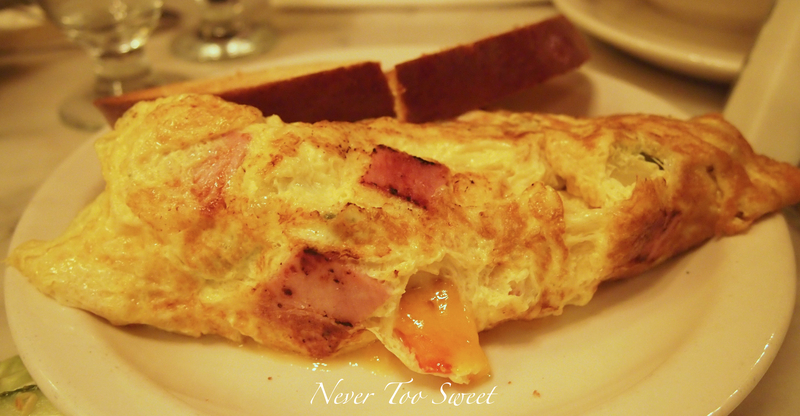 I don’t know why…but I really liked the name of the omelette Eastside Western so insisted on ordering it…turned out to be an unexciting overcooked omelette with tomatoes, cheese, onions and peppers and ham. 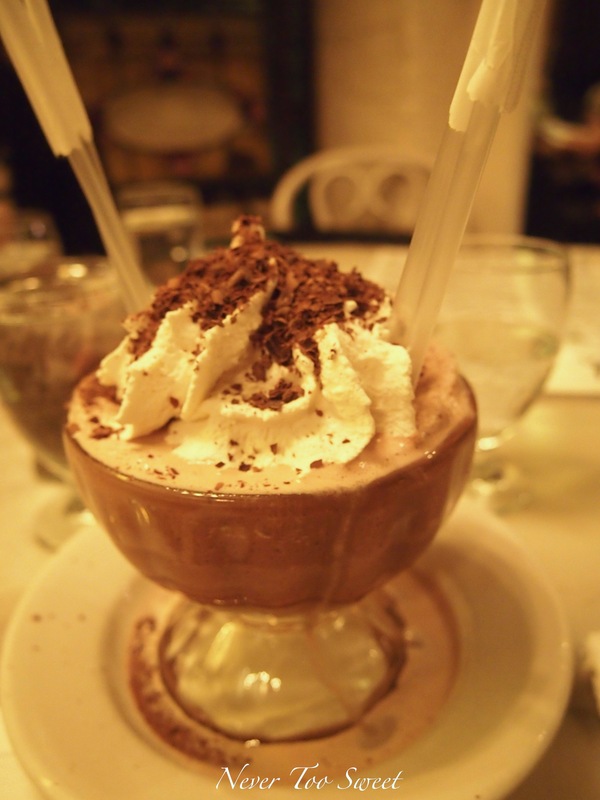 Now back to the ‘Coward’s Split’, even though the mains weren’t that appetising, my dear friends and boyfriend were so full that they wanted to ‘SKIP’ dessert and said the ‘Frozen Hot Chocolate’ was their dessert. I insisted! Because it’s just wrong! How can you ever ‘skip’ dessert 😛 To me it’s always desserts first! 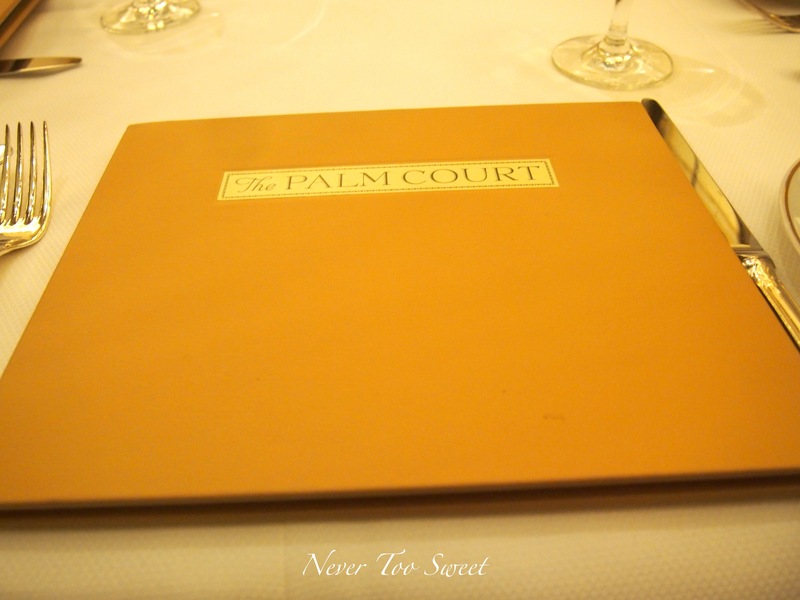 That’s when I noticed on the menu they had the Outrageous Banana Split $22.50 and the Coward’s Portion. Thank you everyone for reading and always supporting me! 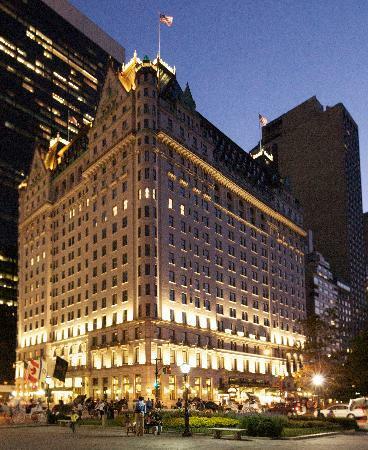 For those who haven’t heard of The Plaza Hotel, it’s basically the most extravagant and luxurious hotels you can find and is of course a landmark of New York City 🙂 If you guys remember my post about the Peninsula Hotel in Hong Kong , The Plaza is basically the New York version ~ as soon as I walked in my New York partner in crime Mary and I noticed the shocking resemblances to The Peninsula. Mr Bao even said it ‘smelt’ the same way hahaha now I’m not sure about that. After I calmed down, we placed our orders. 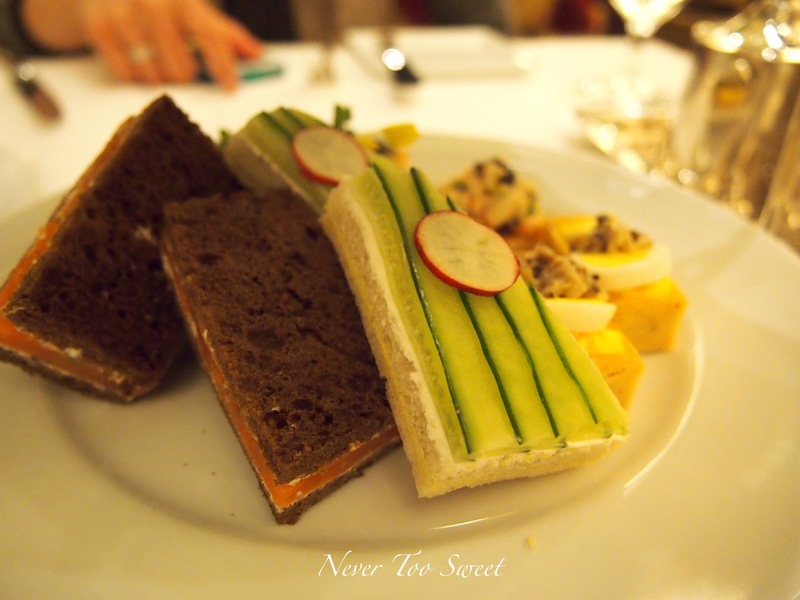 Mr Bao chose The New Yorker which had a selection of ‘New York’ flavoured savoury sandwiches such as roast beef and horseradish on the bottom tier, scones in the middle and a selection sweets on the top. 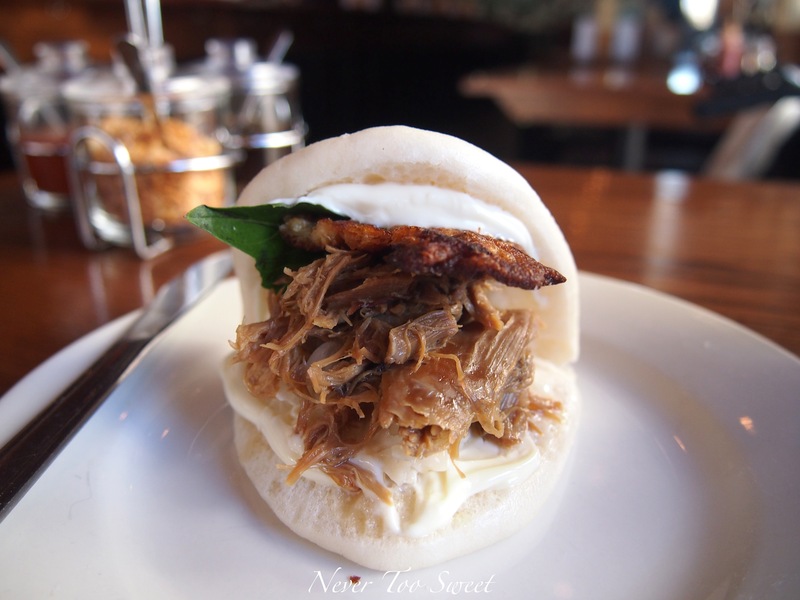 Mr Bao didn’t seem to like the savoury food, he said the bread and stale and the roast beef was so bland. I tried the smoked salmon, endive and agree it wasn’t very appealing. Both our sets had scones and compared to the epic scones I had at Alice Tea Cup, these weren’t really up to standard, a little too dry and hard. 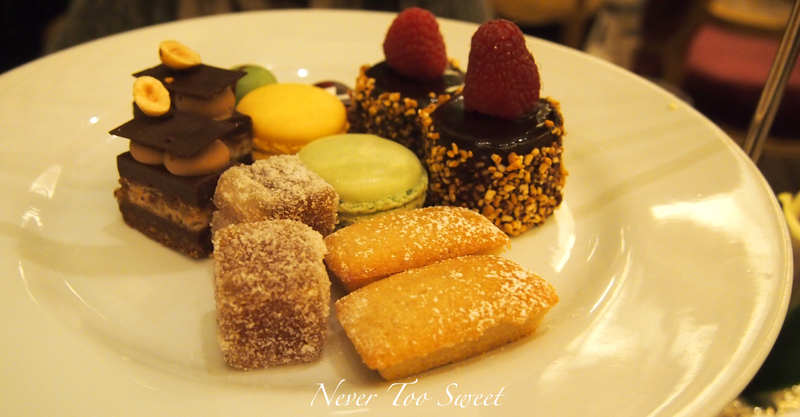 Mr Bao didn’t really eat much of the desserts ~ YAY for us! 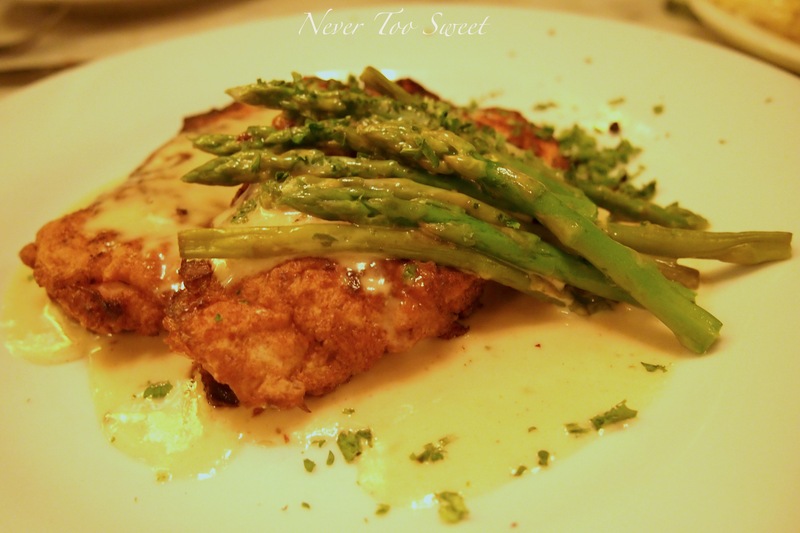 But nope another disappointment…. 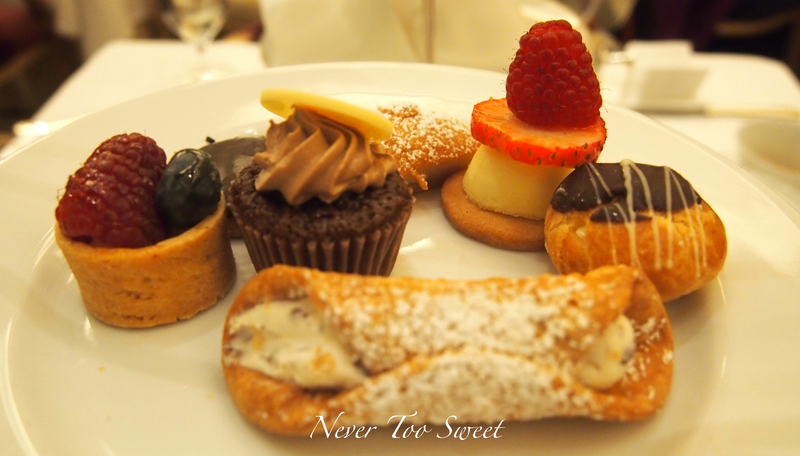 the canoli was soggy, the mini cupcake was tasteless and the black and white cookies were alright. We did enjoy the mini lemon tart on the left but still weren’t impressed. Mary and I both got The Classic tea set because if you wanted to share a set you have to pay an extra $20USD, so we figured it wasn’t worth us sharing. 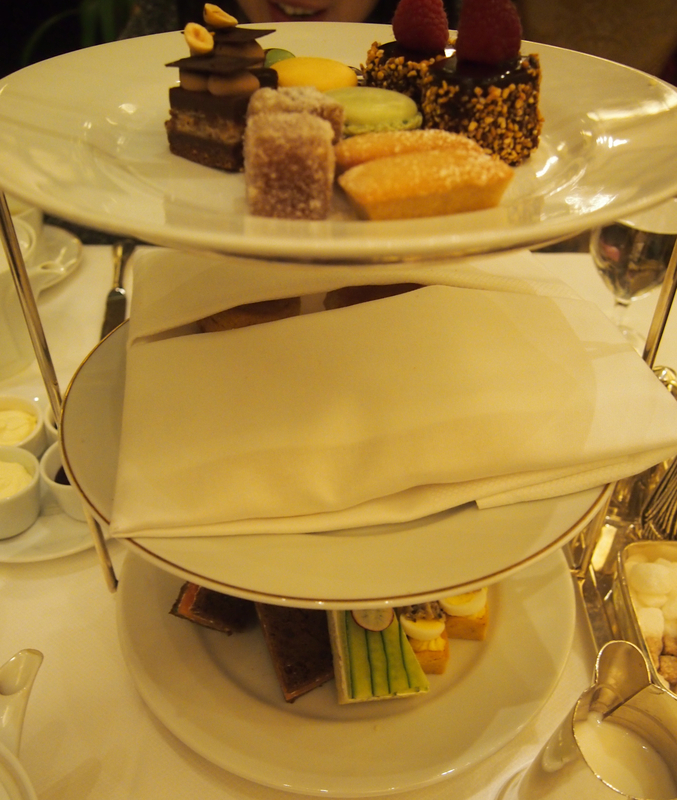 It was more the typical set with sandwiches at the bottom, scones in the middle and petite fours on the top layer. 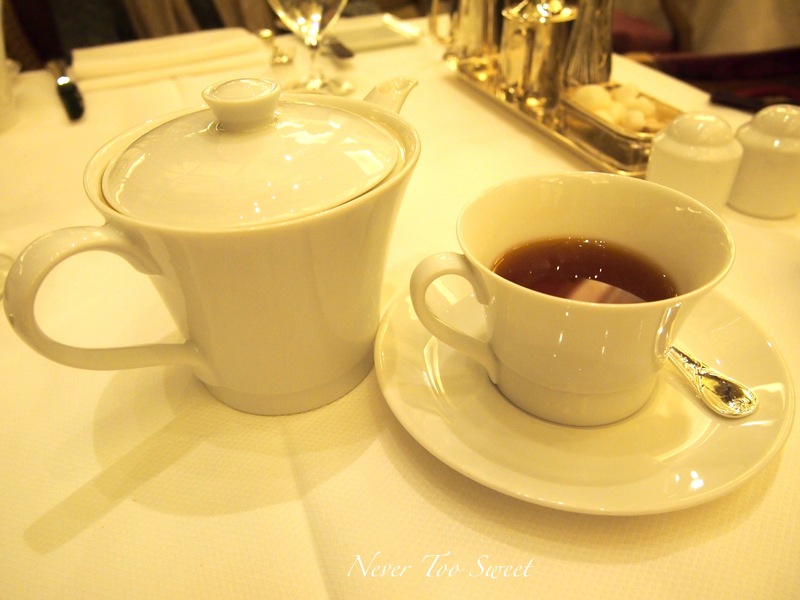 All tea sets come with complimentary tea, we’re not big tea drinkers so we can’t really comment but it was nice when they topped our tea pots with hot water which gave us the chance to gossip more and weren’t pressured to leave. Just LOOK at all the cupcakes and goodies! 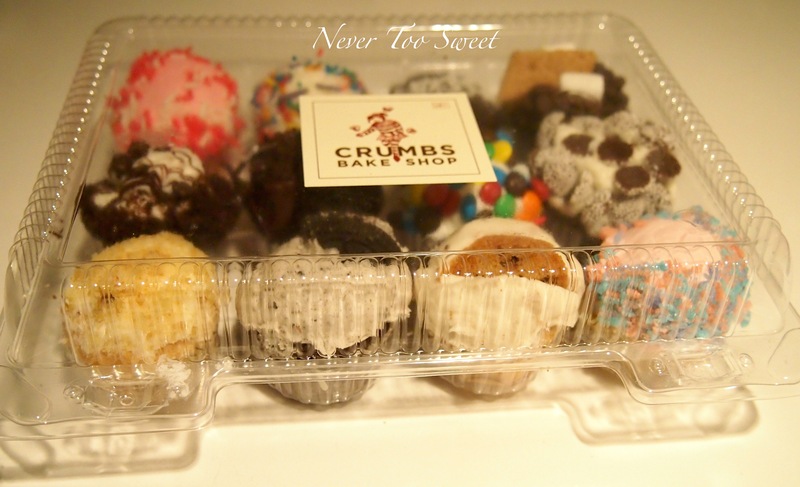 Very briefly, Crumbs Bake Shop is a creation by husband and wife, Mia and Jason Bauer and they opened their first store in 2003. They offer cupcakes in 4 sizes, the taste size which is a mini, a classic, a signature and a COLOSSAL cupcake 🙂 I have promised myself to order a colossal red velvet cupcake next time I go ~ They have a wide range of flavours too going from the typical dark chocolate, red velvet, carrot and more unique flavours like Blackbotton Cheesecake Brownie. I was so glad they had this taste pack, it had 12 mini cupcakes of all their best sellers 🙂 WOO HOO! I got to try all of them~ Hmm…it’s so hard to say which one is my favourite…but I really liked the S’mores (On the right hand side of the last row) because it has everything I love – chocolate, vanilla, cream cheese and graham crackers ~ delicious! 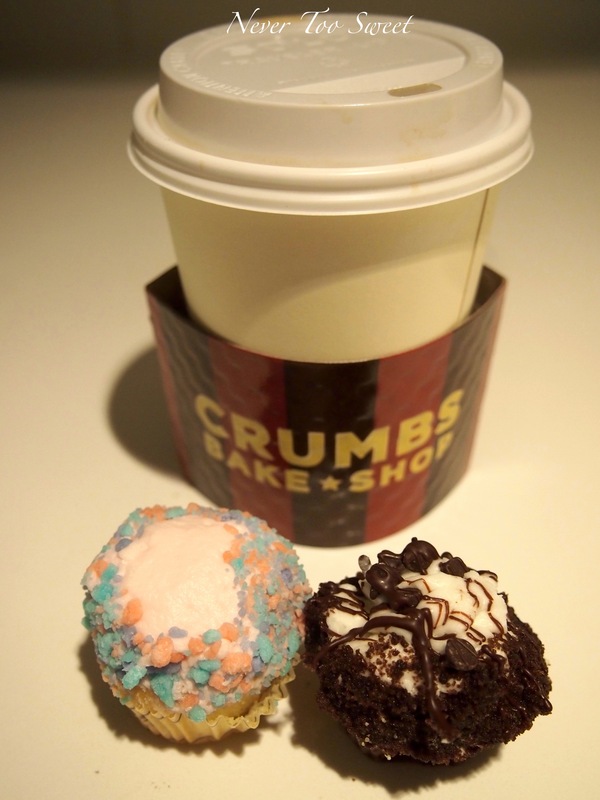 Perfect way to end the night with Crumbs cupcakes and a hot chocolate, which was probably a little too sweet for most people, but just right for me 🙂 The one of the left is Vanilla sprinkle – the cupcake itself was so moist and the vanilla butter cream was perfectly whipped! One on the right is Devil Food’s and once again so moist and chocolatey! Surprisingly they didn’t have the red velvet in the best seller pack, but I’m sure it’s one of their best sellers…maybe they had run out of the taste size? 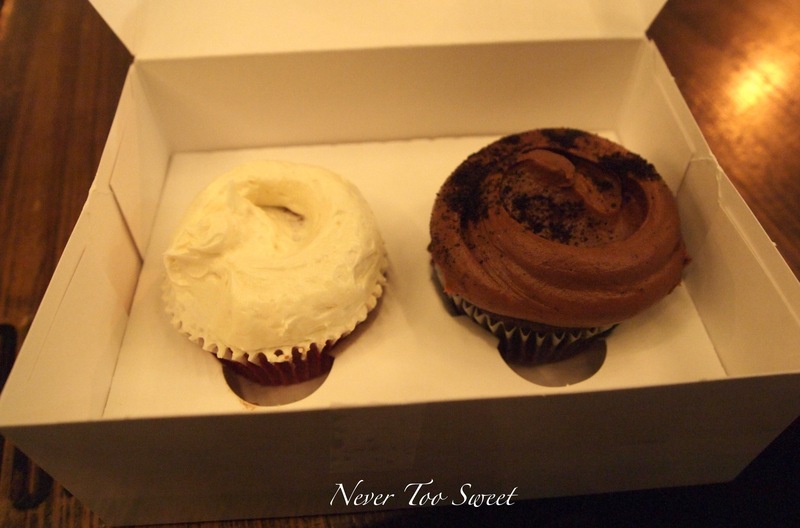 Either way 🙂 I couldn’t leave without trying it ~ Now not trying to brag but I’ve been told my red velvet cupcakes are good ~ but these weren’t good…they were AMAZING! Definitely a 10 out of 10! 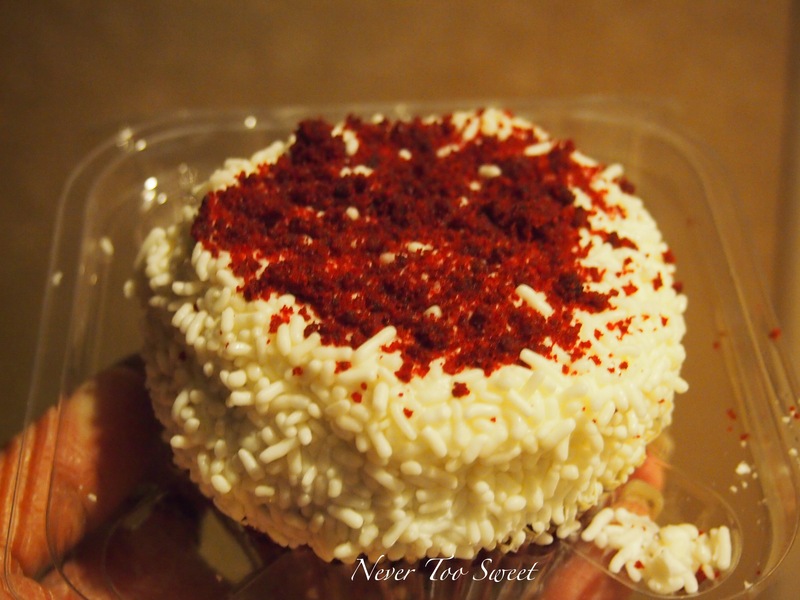 The red velvet cake was once again so moist, it basically melt in my mouth, then the cream cheese was the perfect consistency and the BEST part would have to be the white sprinkles 🙂 and how could I forget the red velvet cake crumbs that finished it all off so nicely! 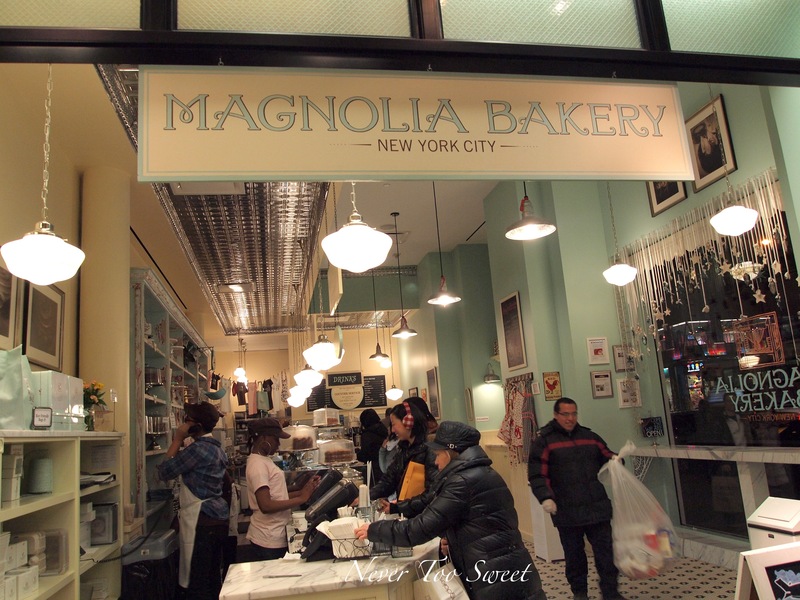 Magnolia Bakery first opened in 1996, however, has recently been sold to Steve Abrams, a veteran NYC restaurateur. 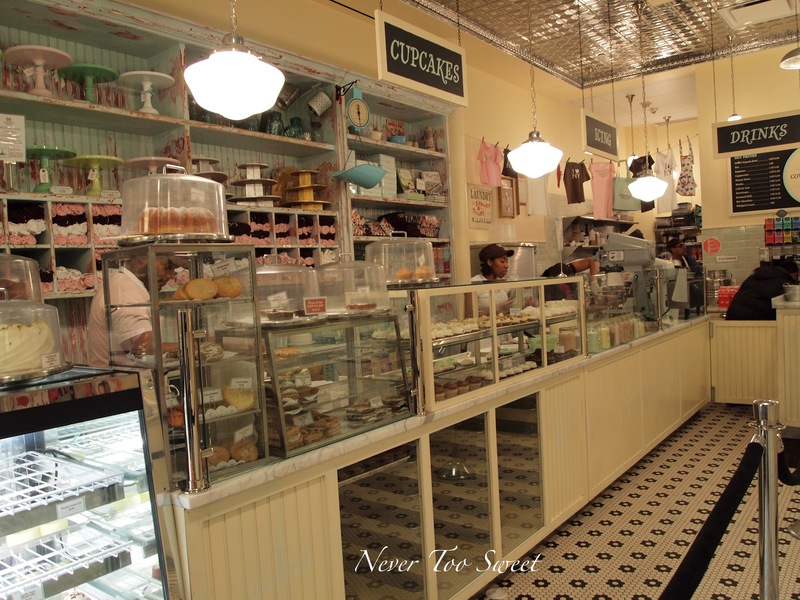 It was definitely a pretty looking shop, where everything was so neat and nicely decorated ~ Anyhow because this is a Cupcake Wars I decided to get another Red Velvet cupcake and a Devil’s Food to compare it to Crumbs. 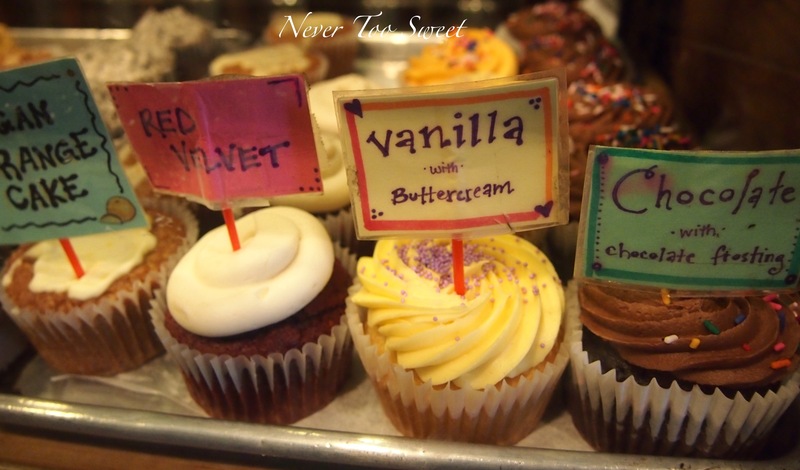 Starting with the red velvet…it was an UTTER disappointment 😦 I seriously LOATHE dry cupcakes! It was so so so dry that it starting crumbling in my hands before I could put it in my mouth… and the cream cheese frosting was unbelievably thick and sticky which wasn’t a very pleasant feeling. The same thing happened with the Devil’s food cake, a cake dry as sand and frosting that was too thick. 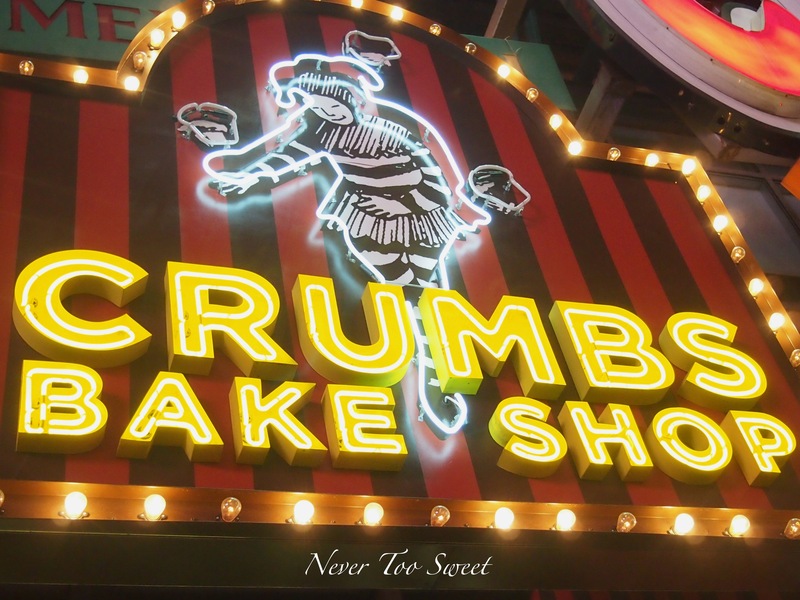 Even though it is quite obvious, but I would now like to announce the winner of this Cupcake War goes to *drum roll* – CRUMBS BAKE SHOP! Congratulations! 😀 They have definitely won in terms of – taste, presentation and texture! I have heard so much about David Chang and the Momofuku chain by so many bloggers that I just HAD to go try it out for myself 🙂 I tried to book for a table at Momofuku ko two weeks before going to NYC…but no luck…it was full…I know I should have booked a month in advance, but I really didn’t expect it to be so full! 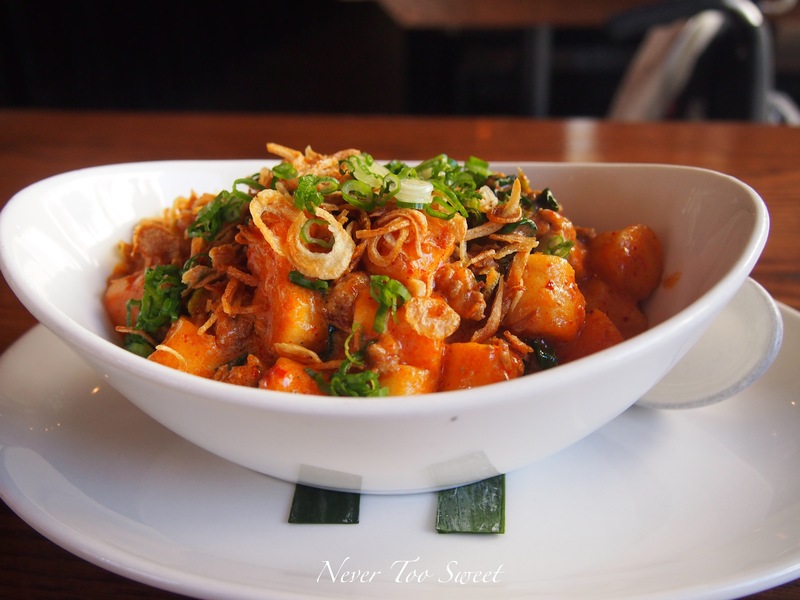 After a good hour of mindless walking, we went back to Momofuku Ssam bar and was greeted by a nice but probably still half asleep waiter 🙂 he led us to our table which was near the window and handed us the menu. Even though we had breakfast a mere 3 hours ago, Mr Bao was starving and I knew if I didn’t order and get some food in front of him, he wasn’t going to be very happy 😛 But there was a problem, the whole menu was full of dishes with duck – Rotisserie Duck Over Rice, Duck Dumping Soup, Duck sandwich and Pulled Duck Bun : D Poor Mr Bao is on a special diet because of his eczema where he can’t have duck…so the only thing he could really have from the menu was the Spicy Pork with Rice cakes. 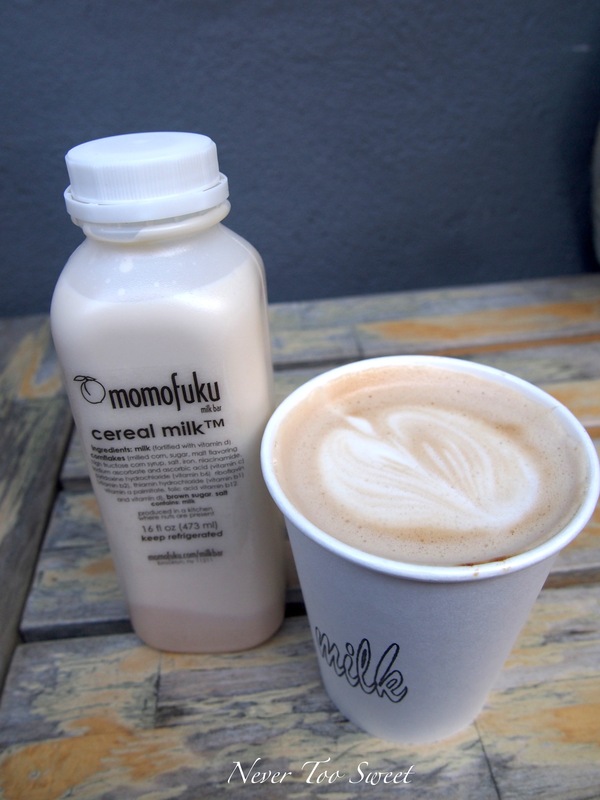 Then conveniently, Momofuku Milk bar was right across from the Ssam Bar, so we quickly paid and I basically ran across the road I was SUPER DUPER excited about trying it! 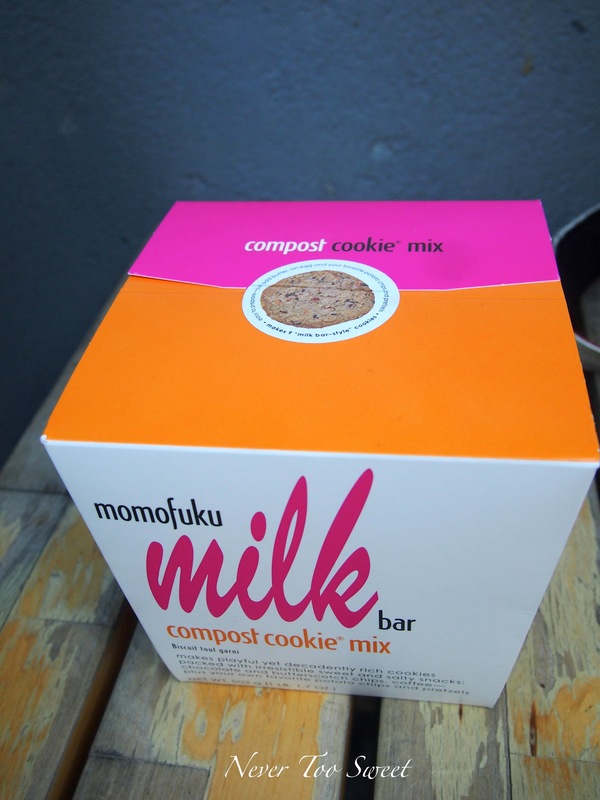 The corn and compost (sorry forgot to take a photo) cookies were amazing! So soft and sweet 🙂 LOL Christina Tosi is so creative to add pretzels and potato chips into cookies ~ yummy! 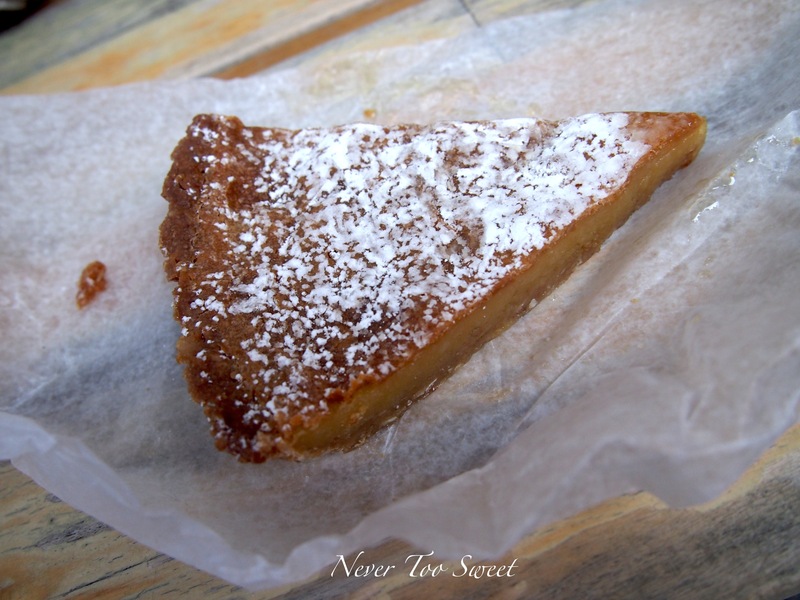 ‘Deathly Sweet’ is how I would describe the crack pie 🙂 it’s like nothing I’ve ever had before, so sweet, so rich and so unique ~ I think it’s one of those desserts, where you either ‘love it’ or ‘hate it’. I know Mr Bao definitely hated it 😛 he took one bite and gave me a death stare like I had just slapped him across the face. He said that it was so sweet that he felt sick hahaha I think he was over exaggerating, I don’t think I can really describe how it tastes unless you try it for yourself, but the taste reminds me of the American candy corn lollies 🙂 Is it just me being weird again? 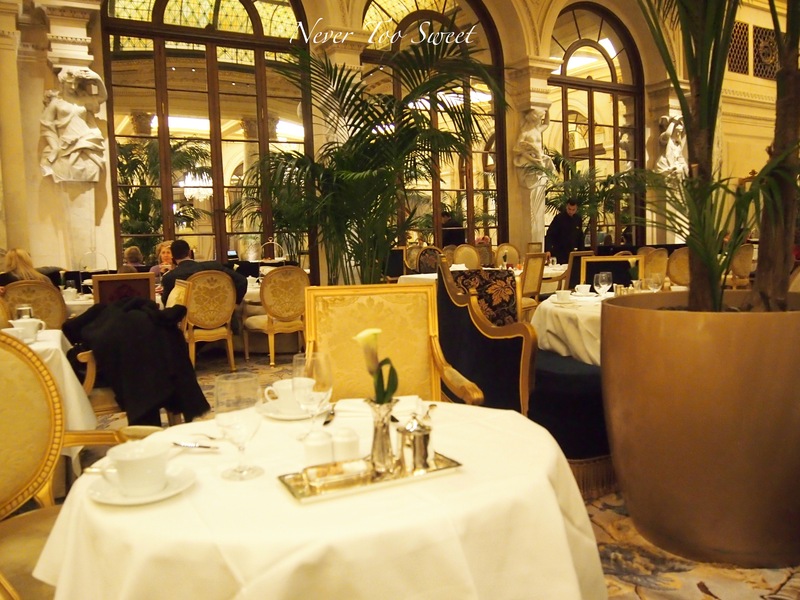 I think it was a little too rich even for me, but definitely worth a try! 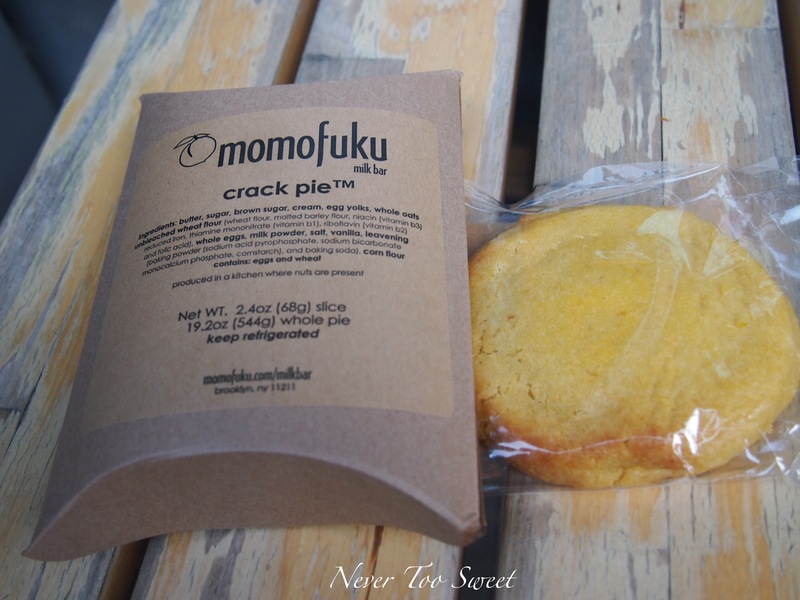 I don’t think I need to convince you anymore 🙂 definitely go check out the Momofuku stores when in NYC and if you can get a table at Momofuku ko, please don’t forget to share your experience with me!!! Hello! 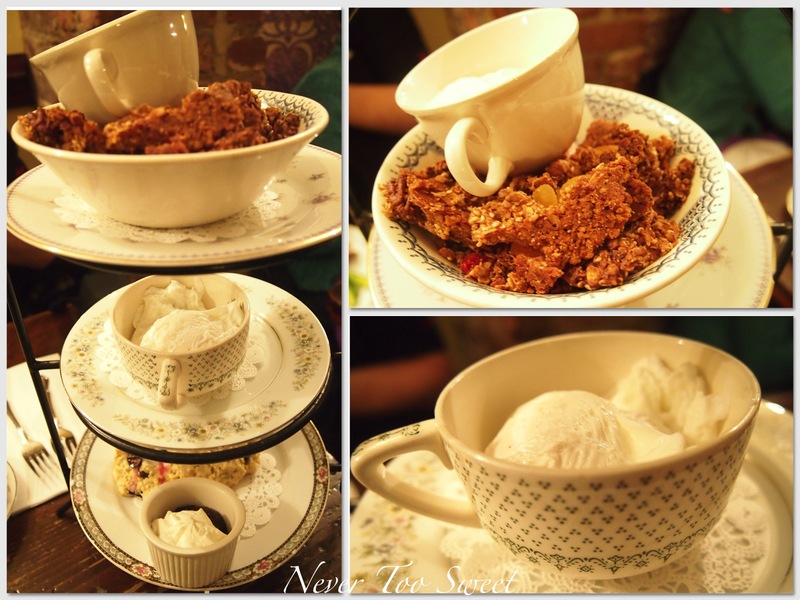 Hope you all had a lovely Chinese New Year with family and ate lots of goodies like me ~ But after having Chinese food for 5 days straight 3 meals a day…I think I’m getting a little sick of it… that’s why I’ve decided to continue with my New York City posts 🙂 Today, I wanted to share with you, my lovely at Alice Tea Cup Chapter 1 in the Upper West Side. 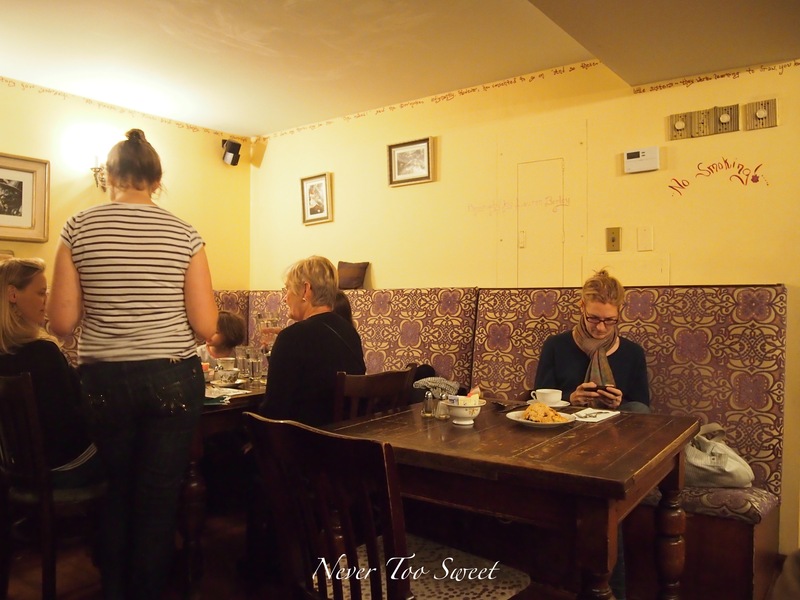 Founded by sisters Haley and Lauren Fox in 2001, it has quickly become one of the most whimsical places for both locals and tourists to have tea. 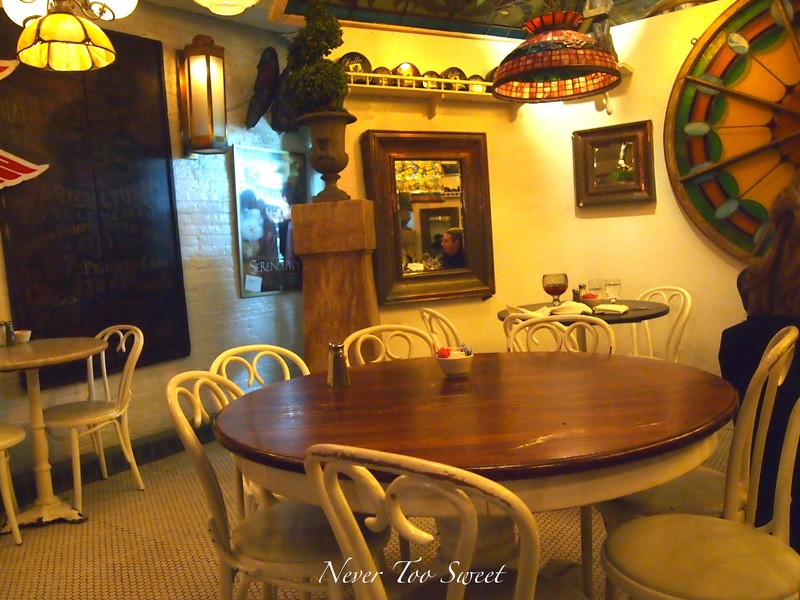 After having breakfast at the hotel for 3 days…we got a little sick of bagels, eggs and bacon hehe so I randomly did a search on cafes in the Upper West Side because we were going to the American Museum of Natural Historyafterwards. With a bit of luck, I found Alice Tea Cup Chapter 1 only 4 blocks away from the Museum ~ Perfect! So Mr Bao and I quickly put our jackets on and hailed a cab. When we got there it took us a good minute or two to find it because the shop front is pretty small, so it’s pretty easy to walk past and not know it’s there. 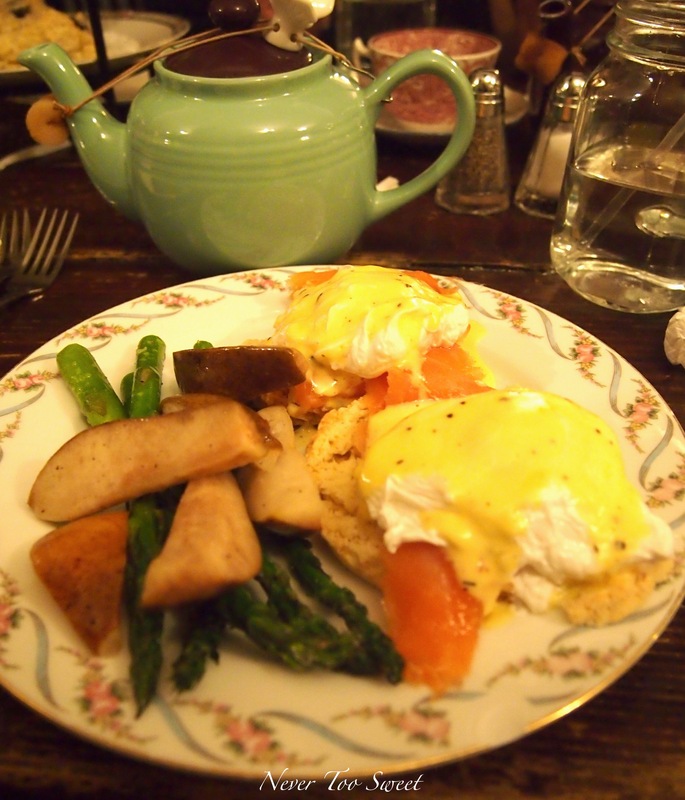 I was trying to convince Mr Bao to have the afternoon tea set with me…but he wasn’t sold by the idea hahaha he wanted ‘breakfast’, not dainty little sandwiches ~ so he got the smoked salmon with poached eggs on buttermilk scones. I tried it and thought it was pretty good, but nothing too exciting. The buttermilk scone was lovely though! 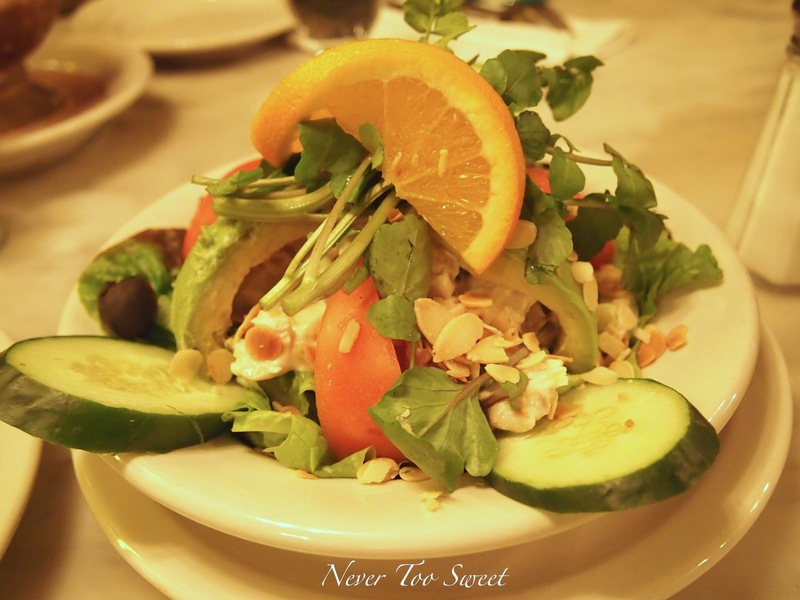 Something different to have than english muffins or a piece of toast. Mr Bao also ordered a pot of peppermint tea which he really liked, while I thought it was a little too peppery for me. But I have to give my hand down to the lemon and blueberry scone! 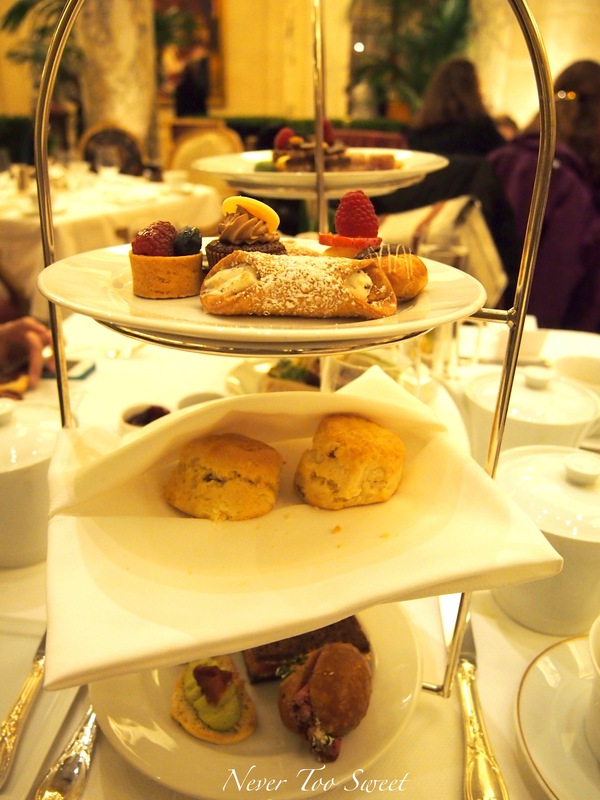 It was probably the most amazing scone I have had for a long long time. 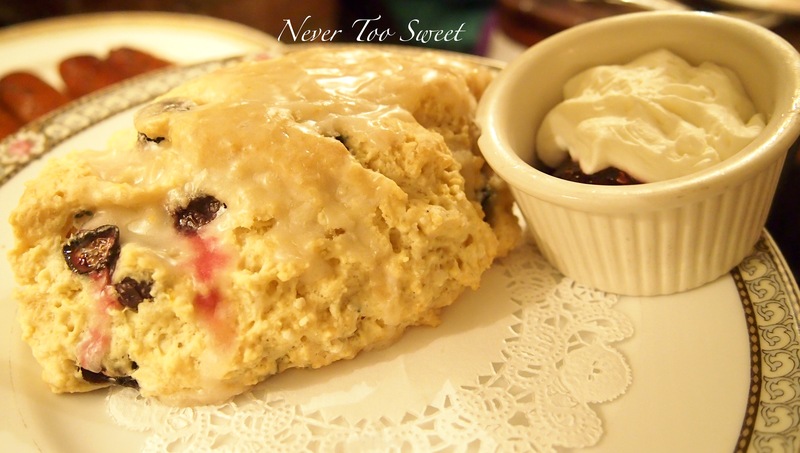 I don’t know if it’s because I am a picky scone eater…but I usually find scones to be either too dry or a mouthful of baking soda! 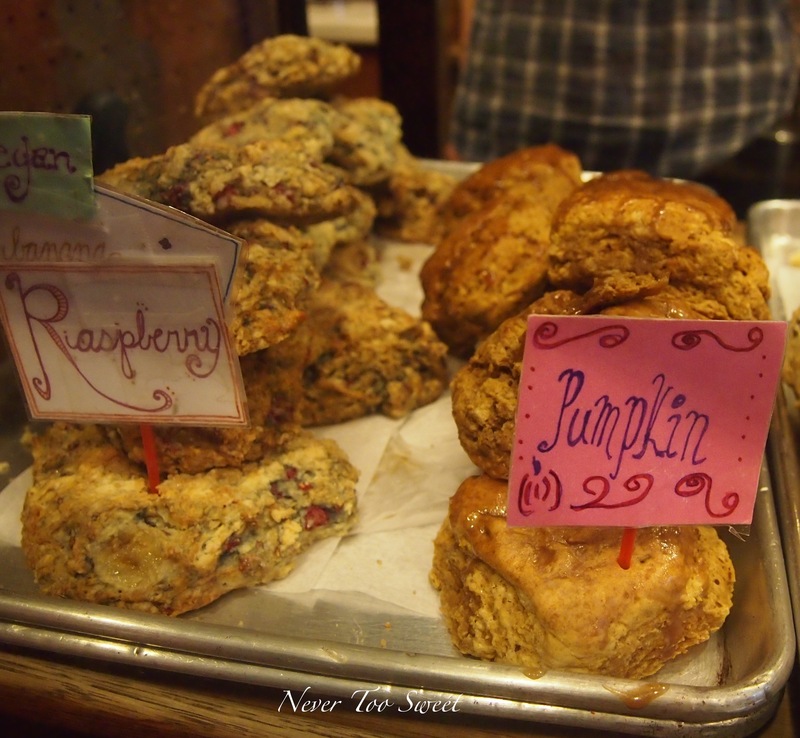 But the scones at Alice Tea Cup were P-E-R-F-E-C-T! 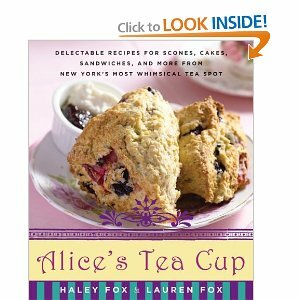 I was so obsessed with these scones that I bought the Alice Tea Cup cook book ~ you can find it on Amazon for approximately $16 USD. Source: AmazonI was too full if not I would’ve tried all the other goodies they had to offer! 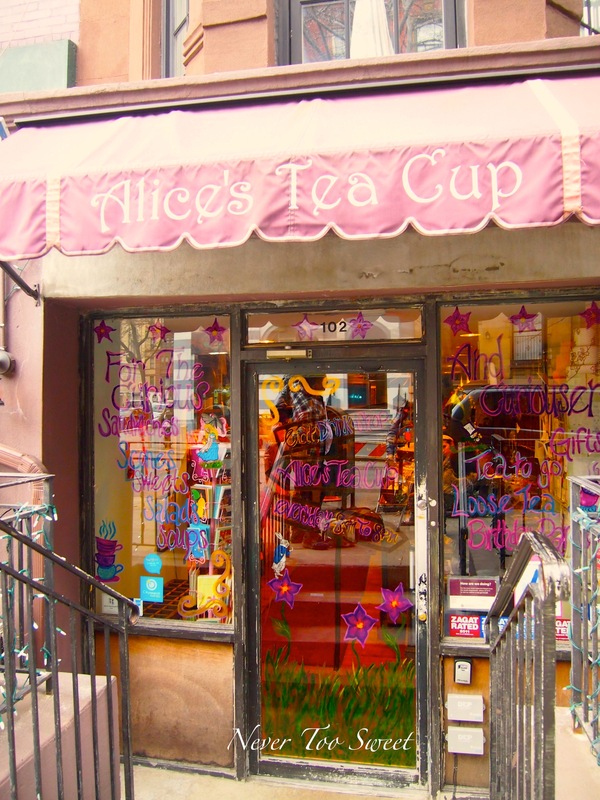 If you like tea, scones and cake – Alice Tea Cup is a MUST GO when visiting New York City! We got to the Jersey Garden Outlet pretty early, at around 10:15am (they opened at 10am), we didn’t want to waste any shopping time ~ But Rocky Mountain wasn’t open then, so we did our shopping and just before we were going to leave…I quickly dashed into the store to check it out and that was probably one of the best decisions I made throughout the whole trip. 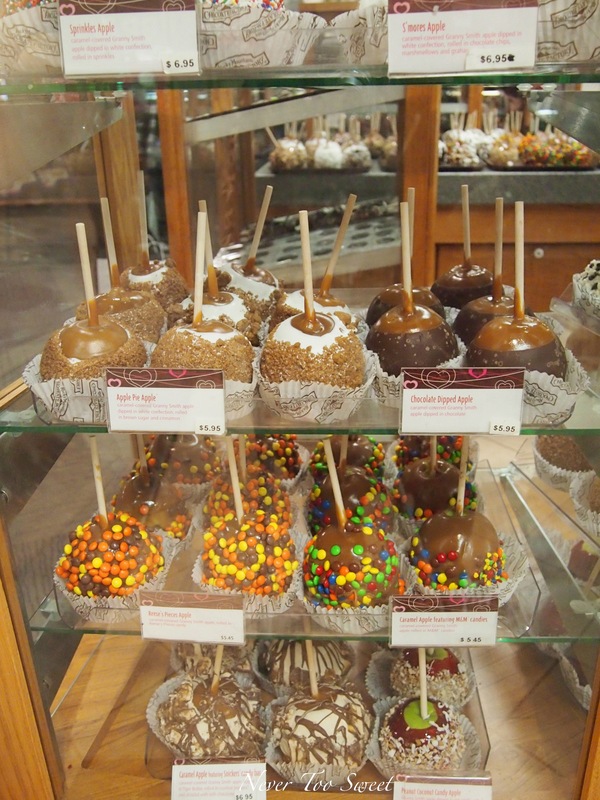 Variety of candy and caramel apples! 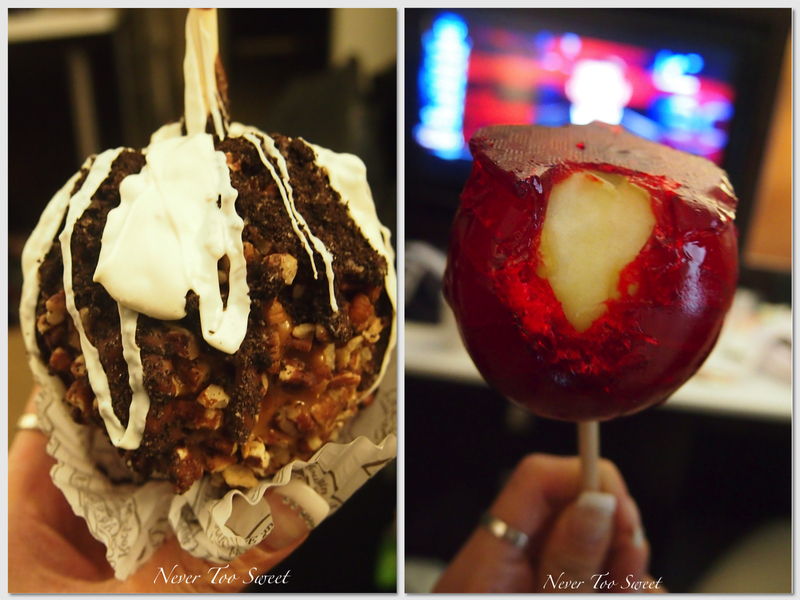 Sorry if that sounds a little exaggerated, but I’m still reminiscing over the candy apples! Just look at them! 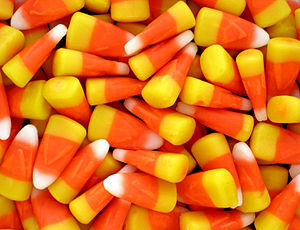 All the different types of candy and caramel apples you can think of! There was one covered in mini M&Ms, a Rocky Road one and even an Apple Pie candy apple! 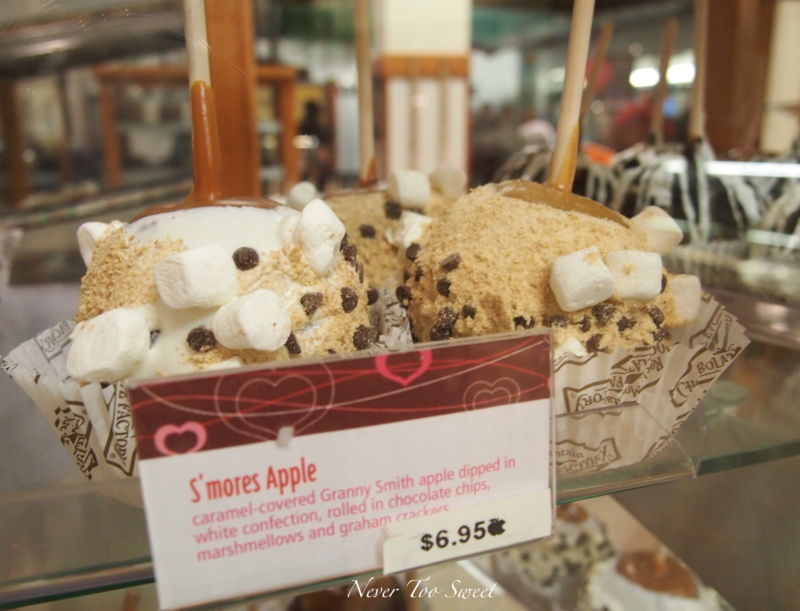 I regret not trying this caramel apple 😦 just in case you can’t read the description – this was a Granny Smith apple dipped in caramel , then rolled in white confection (I assume icing sugar) then rolled in chocolate chips, mini marshmallows then finished with graham crackers. 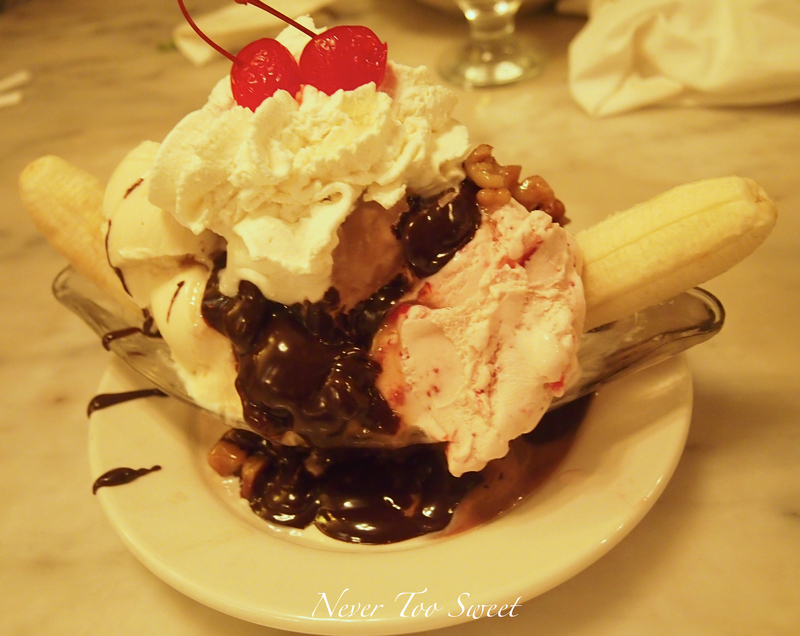 My mouth is watering SO SO SO badly right now! We were all pretty tired from shopping so I quickly asked the shop assistant (who wasn’t very nice) what their signature apple was and she suggested that ‘Ultimate Apple’ oh boy it was so delectable! It’s basically a Granny Smith apple dipped in caramel sauce, rolled in crushed pecans, then rolled in crushed Oreos and finished off with icing sugar drizzled all over it! 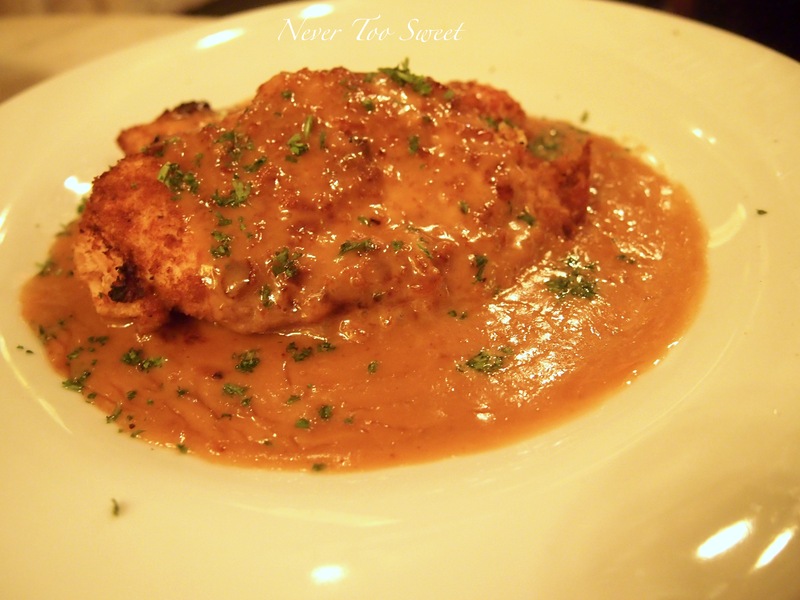 It was one of the most PLEASURABLE things I have eaten in such a long time! 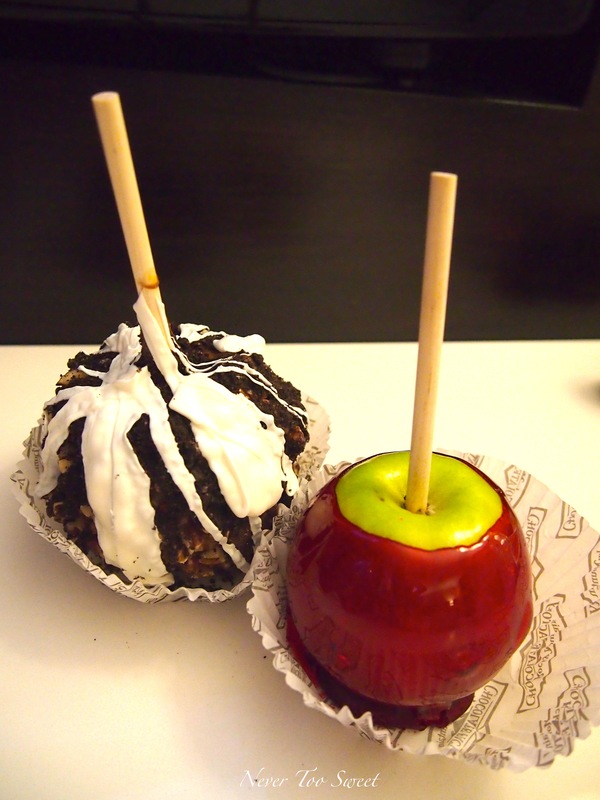 I also got the traditional candy apple, be warned though the toffee was really hard and it took me a good minute or two to bite into it 🙂 It was much easier to eat the Ultimate apple because the caramel dipping was still soft when I ate it. I very politely demand you find a Rocky Mountain Chocolate Factory when you go to America next time! You’ll be in heaven like me! And for anyone going to New York definitely go to the Jersey Garden outlets! Mr Bao and I shopped so much, everything was on sale and a bargain to buy! 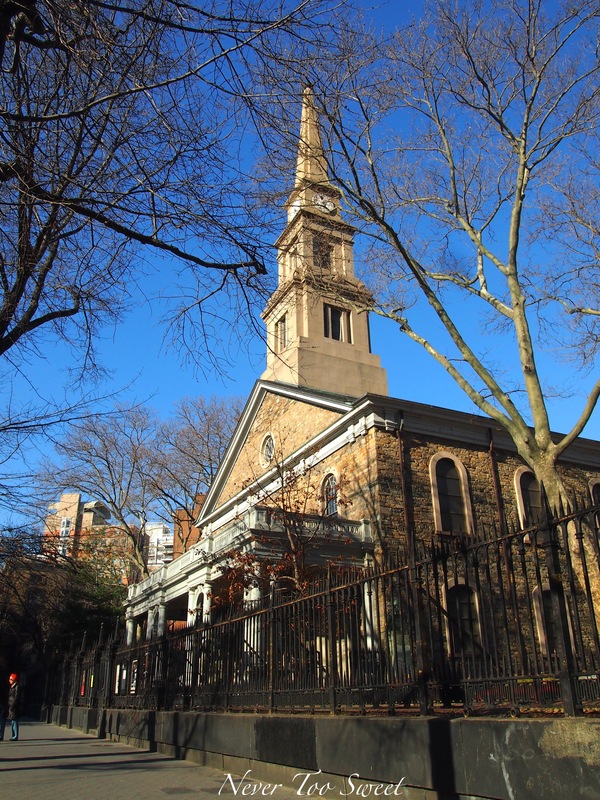 For other locations please visit their website. 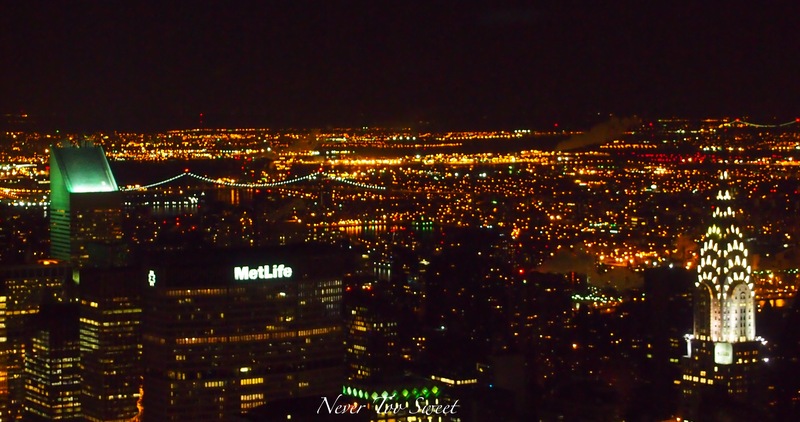 In a nutshell, Mr Bao and I had the MOST amazing time in New York! We ate, drank and shopped so much it was crazy! We were basically having 5 meals a day and both came back with 2 full suitcases filled with new clothes, accessories and other bits and pieces that we bought! 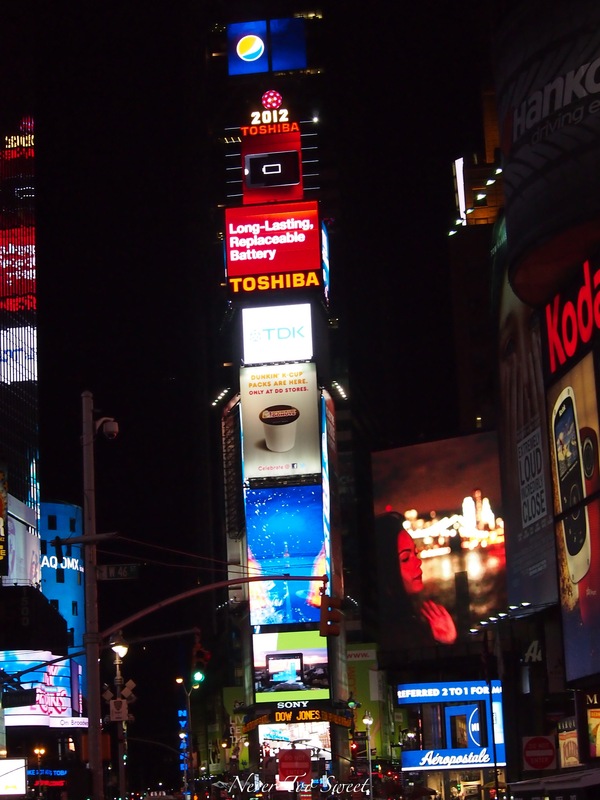 It was great that our hotel was situated right next to Times Square and only took a quick 5 minute walk for us to get the centre. 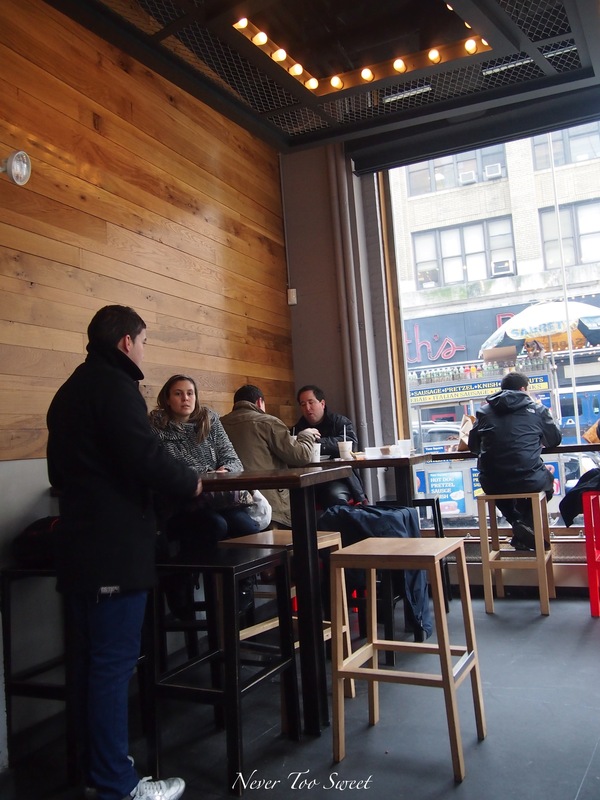 I have so much that I’d love to share with you 🙂 but after long chat with Mr Bao and little reassurance from Ms Piggy, I decided to dedicate my first NYC post to the one and only ‘SHAKE SHACK‘. 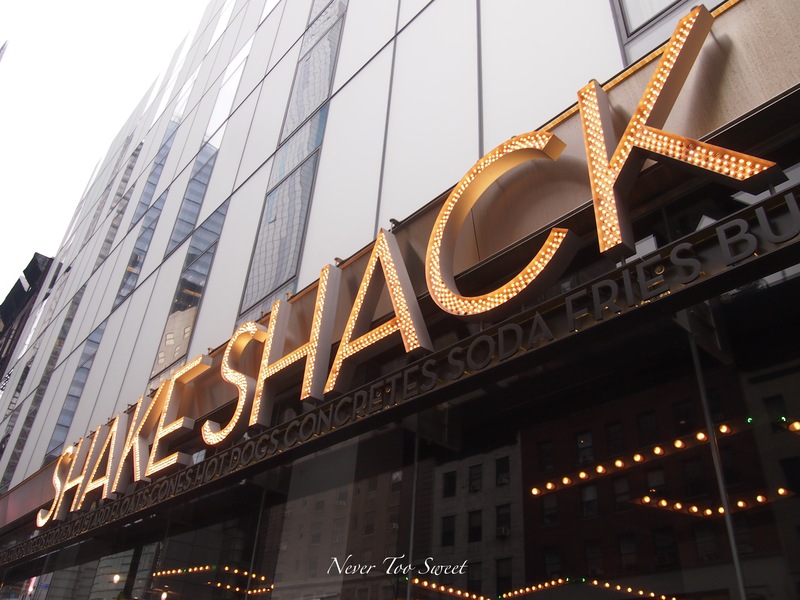 So many bloggers have recommended Shake Shackand now I know why ~ although Shake Shack has been well blogged about, I couldn’t think of anything better and more addictive than the Shack burger! 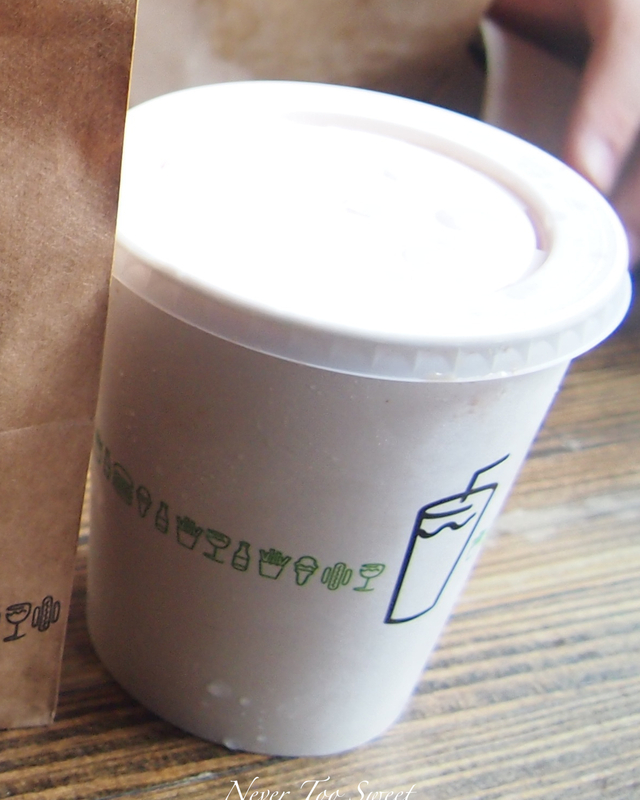 Eventually on the third day we finally made it to Shake Shack for lunch! When we got there the line was crazily long, yet it was only 11:30am and I didn’t expect it to already be so busy. I got Mr Bao to wait in line, while I was on the hunt for an empty table 🙂 after a good 15 minutes, I finally found us a table by the window and Mr Bao had come back to the table with a cute ‘buzzer’. 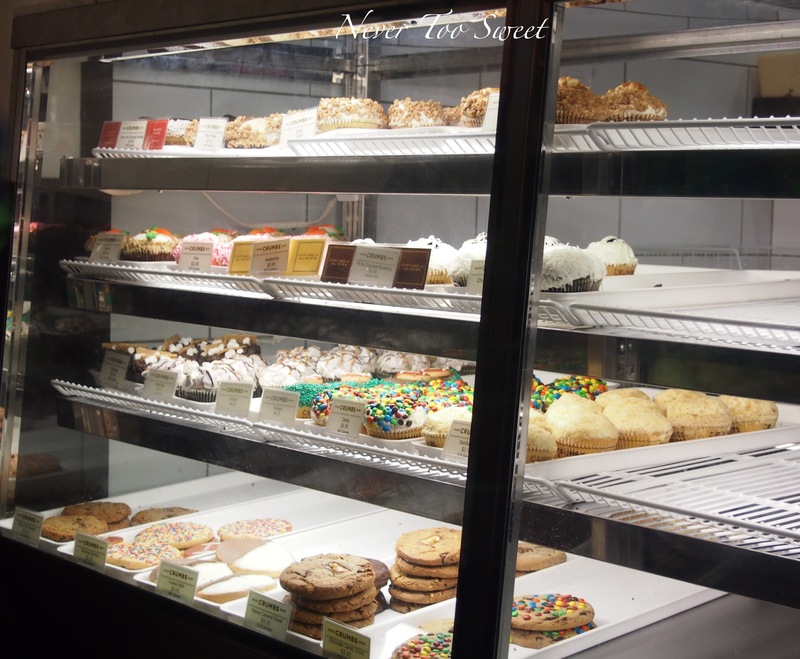 We were famished, the 10 minute wait seemed so much longer… *brrrrr brrrrr brrrrr* the buzzer finally went off YAY! 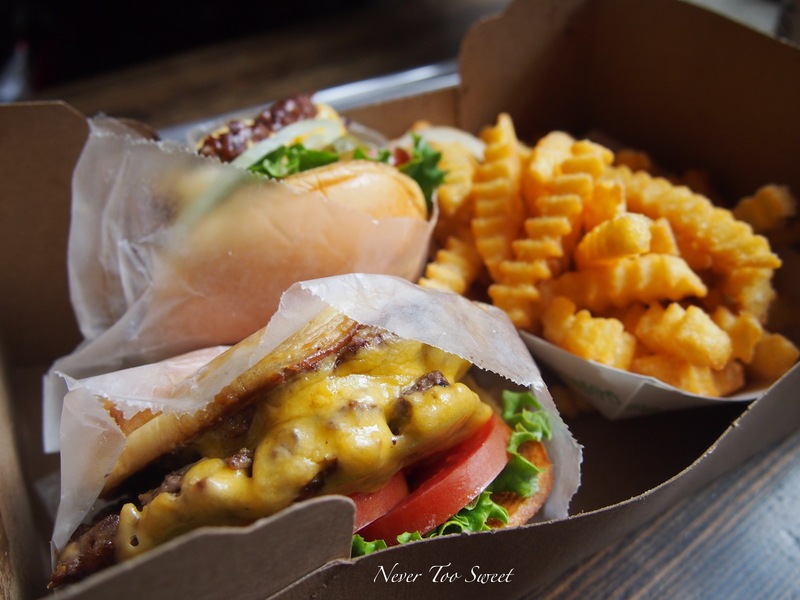 I swear these are the MOST delicious burgers I have ever had in my whole entire life! I never want to have a burger from Maccas or anywhere else! 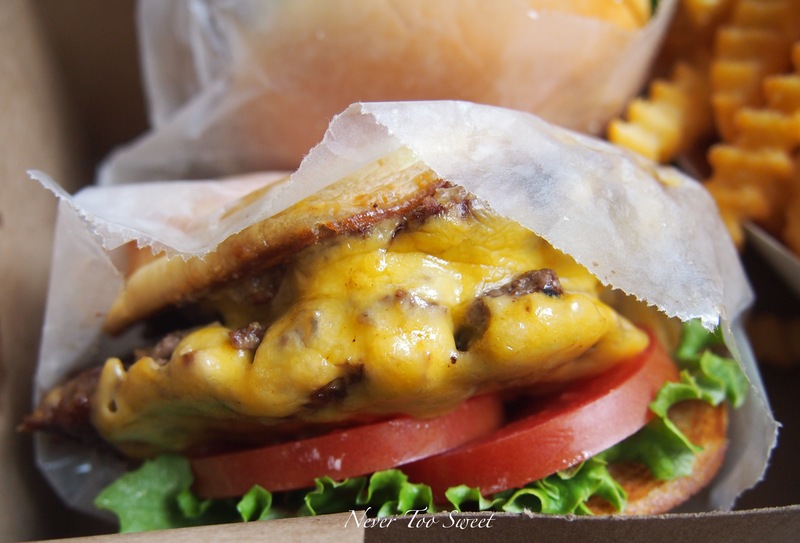 The patty was so flavoursome and with melted cheese, the right amount of lettuce and tomato I was literally in heaven! Oh and the bun was so light and fluffy 🙂 Usually when I have a burger I tend to pull it apart, but I didn’t have to do that for the Shack burgers! I just wanted to have another one! Best drink to go with burgers? It’ll have to be a rich, sweet and thick Black and White shake 🙂 which is basically and vanilla and chocolate thick shake! I don’t want to think about the calories and the consequences of having these burgers because it was ALL worth it!